NEW and UPDATED! 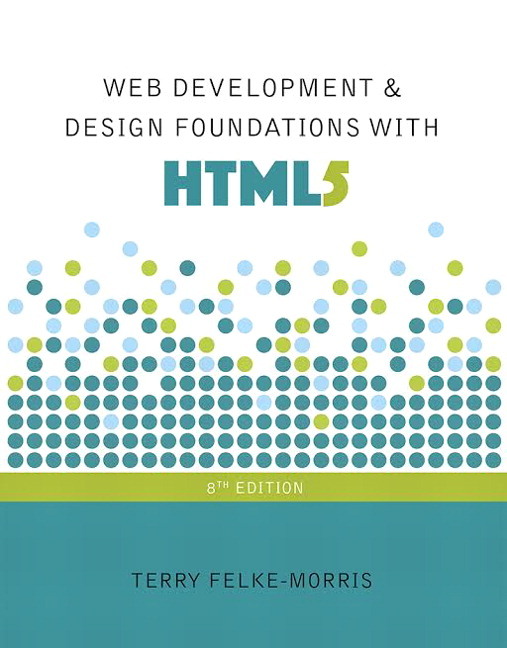 Contains updated coverage of HTML5 elements and attributes, as well as expanded coverage of designing for mobile devices, expanded coverage of responsive web design techniques and CSS media queries, and expanded coverage of responsive image techniques, including the new HTML5 picture element. NEW! Introduces CSS coding techniques for dynamic menus. UPDATED! Reference sections for HTML5 and CSS have been updated for the eighth edition. NEW! Contains additional hands-on practice exercises. A tutorial on Web publishing using FTP is located in the appendix. 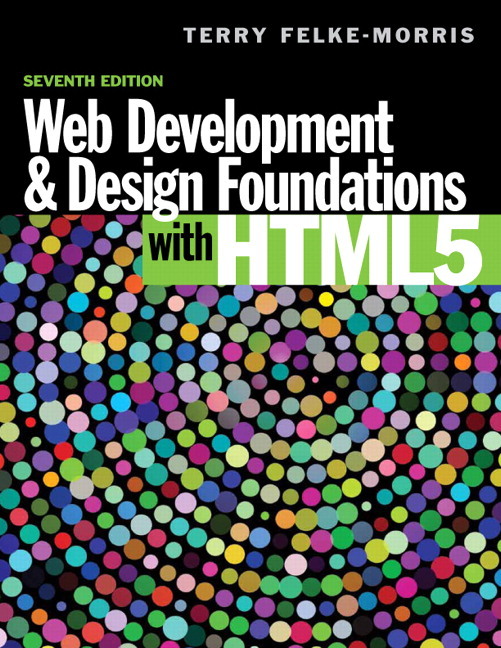 Focuses on HTML5 instead of introducing both XHTML and HTML5 syntax together. This singular focus is beneficial to individuals new to web development. Updates from previous editions include introductions to CSS3 Flexbox-Flexible Box Layout Module and jQuery. Emphasizes hands-on practice through practice exercises within chapters, end-of-chapter exercises, and the development of websites through ongoing real-world case studies. The variety of exercises provides instructors with a choice of assignments for a particular course or semester. Case studies that continue throughout the text reinforce skills discussed in each chapter. Instructors can cycle assignments from semester to semester or allow students to choose the case study that most interests them. Web research activities in each chapter encourage students to study topics as they’re introduced. Additional activities exploring web design topics in most chapters can be used to reinforce, extend, and enhance the course topics. FAQs are included and marked with an identifying FAQ logo. Two or three Checkpoints in each chapter offer groups of questions intended for students to self-assess their understanding of the material. Accessibility techniques infused throughout the text reflect the importance of developing accessible websites. Ethics issues as related to web development are highlighted throughout the text. Appendices in the Web Developer’s Handbook offer reference materials, including resources and tutorials that are useful for students, such as an UPDATED HTML5 Quick Reference; an UPDATED XHTML Quick Reference; Special Entity Characters; an UPDATED CSS Property Reference; a NEW Comparison of HTML5 and XHTML; a WCAG 2.0 Quick Reference; a Web-Safe Color Palette; and an FTP Tutorial. UPDATED! 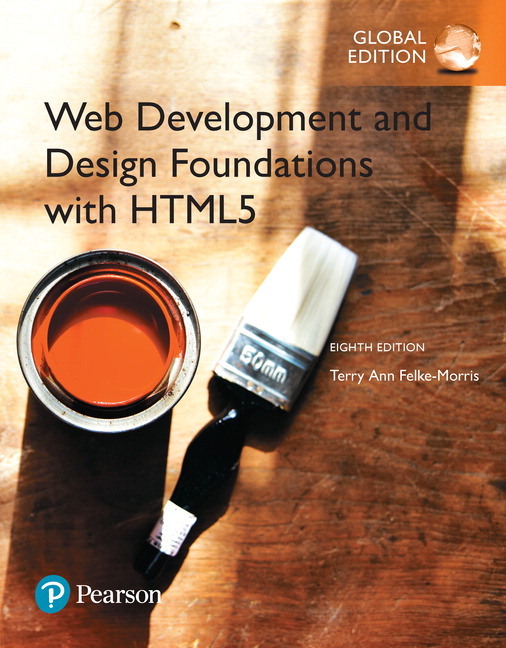 Contains updated coverage of HTML5 elements and attributes, as well as expanded coverage of designing for mobile devices, expanded coverage of responsive web design techniques and CSS media queries, and expanded coverage of responsive image techniques, including the new HTML5 picture element. Introduces CSS coding techniques for dynamic menus. Contains additional hands-on practice exercises.